King's Transfer Van Lines > Blog > What Type of Insurance Should I Get for My Long-Distance Move? What Type of Insurance Should I Get for My Long-Distance Move? It’s no secret that moving is an expensive venture, whether you’re relocating down the street or across the country. Even if you’ve managed to convince your friend with a van to do the heavy lifting, you still have to spend money on packing supplies, buying new furniture, putting down a deposit on your apartment, signing on to a new mortgage, and hiring an inspector. Saving money by not getting the proper insurance seems like a smart idea until something goes wrong. And when something goes wrong, it’s usually at a cost much higher than your insurance payment. 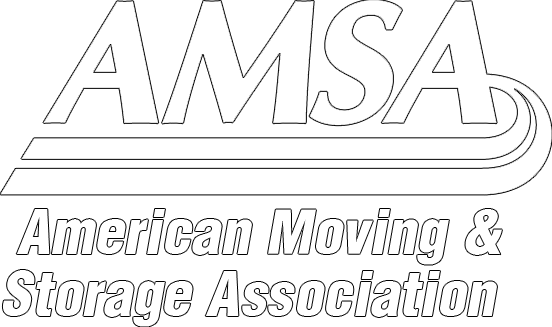 As local and long-distance movers, we are firm believers in getting the appropriate insurance coverage to ensure your belongings are protected from door to door. So, what kind of insurance should you get? Depending on the insurance option you pay for, your coverage will vary. The more protection you buy, the more you’ll be protected if something goes wrong during your international move. The longer your possessions are in transit, the more likely you’ll encounter a surprise. King’s Transfer Moving and Storage takes pride in our efficiency, customer service, and dedication to our customers, which is why we take your peace of mind very seriously. Your homeowner insurance may protect your household belongings in the event of fire, flood, or theft, but it doesn’t always cover your belongings when they’re in between one home and the next. If you’re sure your home insurance covers moving as well, double check with your insurance company that you have enough coverage. Generally speaking, your policy covers loss or damage of property caused by certain perils, so if your dresser is somehow stolen in transit, your home insurance may cover the loss. Always confirm with your insurance provider before you move. What About CAA or AAA? The American and Canadian Automobile Association generally insures their members and not their automobiles. As a member, you’re covered no matter what car you’re in. This applies to road-side assistance and membership perks. CAA also offers different insurance packages, such as home, auto, and pet insurance. While none of these packages provide full coverage for your move, you can contact your CAA insurance broker to find out if you can purchase any additional coverage. King’s Transfer Moving and Storage makes it easy to find the right insurance provider to cover you for the duration of your move. Protect yourself and your belongings with our unique moving insurance offer. To learn more about how to apply for all-risk coverage, contact us today.